European DTH market may be poised for a significant shakeup in the coming months, following a proposed merger between three of the continent’s largest DTH platforms. There is a mismatch between what entrepreneurs building large cubesat constellations want to buy and what traditional suppliers are offering. A group including Google is to offer live streaming of data from satellite missions beginning with the Aug. 10 lunar flyby of NASA’s 36-year-old International Sun-Earth Explorer (ISEE)-3) through a new website called SpacecraftForAll.com. SingTel Satellite joins forces with three of the world’s main maritime charities to help seafarers use onboard technology to keep in touch with loved ones at home. Dismissed SpaceX employees sue over lack of warning. MSTelcom extends agreement with Intelsat to expand satellite broadband services in Angola. Avanti and iSAT sign multi-year contract to extend East Africa satellite broadband coverage. GVF launches online training courses to prepare students to complete the EUI Basic Technical Operator certification exam. Walton Enterprises expands de-ice systems manufacturing capacity through move to new facilities in San Bernardino, California. July 2014 marked end of period of no orders for full electric propulsion satellites since the March 2012 deal between Boeing, SpaceX, ABS and Satmex – SES, Eutelsat, and Aniara announced orders. IBISWorld Satellite & Earth Communication Systems Services Procurement Category market research report updated; expects decline in prices in three years to 2014. U.S. looks to Japan space program to close Pacific communications gap. Well-known hacker to demonstrate ability to hack satellite communications equipment that ground troops use to co-ordinate movements and airlines use for navigation..
A new attitude system developed by the Air Force and a small business offers improved maneuverability capabilities for small space research satellites. UAE sets its sights on space by announcing a mission to Mars. CASBAA is hopeful that India is closer to enacting long-awaited reforms to its satellite policies under the leadership of new Indian Prime Minister. COM DEV gets Authorizaton and Proceed contract for C- and Ku-band multiplexers and coaxial and waveguide switches for a customer’s high throughput satellite. Inmarsat establishes office in Beijing, China. Though departing subscribers have undercut subscriber additions, EchoStar still enjoys satellite broadband revenue gains. Norsat secures $1.7 million order from Datacom for X-band marine VSAT terminals for a military project in Asia. Small satellite startup launch company Firefly Space Systems recruits General Astronautics to join its strategic team. Cubesat – Satellite Evolution Group file image. Universal Space Network moderated a meeting of 20 CubeSat industry leaders in an effort to develop a standardized communications package. Space Daily File image: Mobile User Objective System (MUOS) satellite. Fourth MUOS communication satellite clears launch-simulation test. C-COM iNetVu antenna systems deployed to assist with communications during recent earthquake in China. ILS forming review board in September to determine whether Proton should be cleared to return to commercial flight this fall. Notwithstanding sanctions, ULA is standing by for RD-180 deliveries through 2017. Europe’s comet-hunting Rosetta probe reaches “scientific Disneyland” after 10 years of cruising through space on trajectory to bring it to the comet. Charter Communications will broadcast the SEC Network after ESPN reached an agreement with the satellite company. Nearly a quarter of RigNet’s revenue for the second quarter of the fiscal year came from the $25 million acquisition of Inmarsat’s enterprise energy business unit. Generation Orbit Launch Service successfully completed captive-carry test flight for its air-launch SmallSat vehicle. D’Amico launches shipboard communications app, toctoc, that acts as hub to synchronise and connect to smartphone contacts and across range of social media channels. PAR Technology Corporation subsidiary Rome Research Corporation gets contract potentially worth $23.5 million to continue support to operate and maintain NAVSATCOMMFAC Northwest. Orange Niger taps Intelsat for cellular backhaul services. 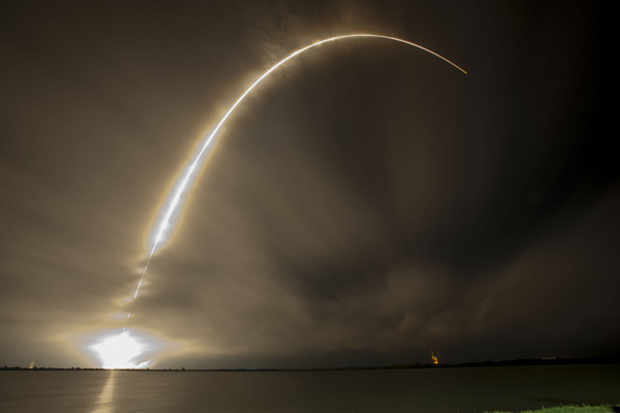 SpaceX Falcon 9 launches AsiaSat 8 communications satellite. SpaceX to build world’s first commercial site for orbital rocket launches in the southernmost tip of Texas. SSL to build Intelsat 36 satellite. Google closes Skybox Imaging purchase. ORBIT Communication Systems announces that it has received a $2.5 million order to provide satellite communication systems to one of the world’s principal navies. SkyVision wins VSAT deal with Bank of Africa Burkina Faso. Steadily increasing capacity, reduced costs, modular functionality and higher data transfer rates now mean satellite communications can exceed even the most stringent requirements for public safety communications, all delivered through a more robust network than 4G LTE. 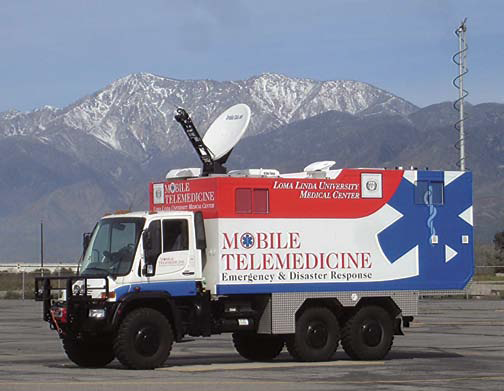 Frontline Communications partners with TVU Networks to introduce new cellular/microwave/satellite IP vehicle solution. United Launch Alliance carries the Air Force’s seventh Global Positioning System (GPS 2F-7) satellite to space. Iridium has delivered the first satellite engineering model for the upcoming Iridium NEXT constellation. Surrey Satellite Technology Ltd. CEO feels that applying Commercial Off The Shelf (COTS) consumer technology to satellite will continue to revolutionize satellite design over the next decade. Booz Allen Hamilton Engineering Services will introduce to the public safety community its new next-generation broadband deployable communications system. NSR Report provides comprehensive market analysis of the three major methods of UltraHD consumption via satellite – DTH, IPTV, and Cable distribution. Free NSR webinar July 30 – Energy Markets via Satellite: Is There a Market Beyond Deep Water? The United States claims China conducted a “non-destructive” test of an anti-satellite missile July 23 and called for China to end the development of such capabilities. Bandwidth demand for maritime markets to exceed 160 satellite transponders by 2023. Communication with Russian satellite Photon-M restored. Ariane 5 approaches the launch pad – SatNews file photo. Ariane 5 gets ready for launch of heaviest-ever payload as is rolls out the rocket for the July 29 liftoff of the final ATV mission. If NASA sends a nuclear-powered probe to Jupiter’s moon Europa, it would launch no sooner than 2024, and effectively rule out other nuclear missions to the outer solar system before then. Eutelsat America Corp has been awarded a contract by the US Air Force to support the deployment of future US Government payloads (hosted payloads) on its satellites. MTN continues to lead the cruise market. Viasat acquires Gray Labs and gets its high-rate modem product line and custom spacecraft technologies for Earth observation. Avanti and Yahsat reportedly first to order satellites from Orbital Sciences based on the new GeoStar-3 higher-power satellite frame. SES ordered its first high-throughput satellite because it was unable to provide optimal service to certain government and mobility customers with a conventional wide-beam satellite. U.S. Department of Defense wants to reprogram money this year to boost the number of competitively awarded contracts under its primary satellite launching program. NASA crew of WB-57 caught sight of the SpaceX Falcon 9 as it ascended, and of the first stage as it plummeted toward the ocean, but was unable to get a good shot of the descending stage’s first engine burn. Rockwell Collins sells its military ground-based satellite communications business. In preparation for Iridium NEXT, the company has issued more than 30 RFPs to build new broadband subscriber products. Thales Alenia Space claims it holds a profit advantage over rival Airbus. Defence and Space. API Technologies wins million dollar order for manufacture of commercial satellite communication systems. SpaceX scores partial victory in bid to get slice of government contracting, as a federal judge agrees to review a multi-bi8llion-dollar contract awarded to ULA without competition. Japanese airline Skymark Airlines is providing In-Flight Connectivity (IFC) free of charge to fliers via Panasonic Avionics’s eXConnect global connectivity service. RSCC, in partnership with OOO Isatel, put satellite-supported broadband equipment on board the Russian research/survey vessel Akademik Tryoshnikov for Artic mission. 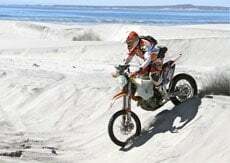 SATMODO provides satellite phones for BAJA RALLY. Intelsat completes move from Washington DC’s Van Ness neighborhood to Tysons. Hughes, Thales showcase rapidly deployable LTE network using 700 MHz public safety spectrum & satellite. The launch of three U.S. Air Force space surveillance satellites July 24 was postponed for the second time in as many days, this time because of weather conditions. Russian Communications and Mass Media Minister wants Russia to produce all of its communications satellites on home soil as sanctions threaten availability of high-tech components. NASA puts out a call for a commercially owned and operated satellite network on Mars. NOAA has awarded a license to Tempus Global Data for a hyperspectral imaging and sounding system constellation. Space Systems/Loral (SSL is one of the companies selected by NASA to study system concepts and key technologies for NASA’s Asteroid Redirect Mission. China Eastern Airlines offers broadband connected flights over China using China Telecom Satellite aeronautical service and Panasonic Avionics Corporation’s eXConnect system. Retiring Senator Jay Rockefeller hopes to lay groundwork for congressional action that would allow online video services to offer even more programming options than cable and satellite companies could. Budget cuts and newly developing threats to operations in space demand change in calculus on resiliency of the Defense space program. SES launches first free-to-air digital TV platform in West Africa. Ultra-HD TVs make gains but still lack market penetration according to IHS. Web-connected cabins offer investment opportunities as the market for inflight internet is set to grow to $2.1 billion by 2023 according to Euroconsult report. Honeywell’s latest passenger survey on In-Flight Connectivity (IFC) shows just how much the mindset toward flying connected has changed. Purdue University students to test green rocket propellant they developed, partnering with Aerojet Rocketdyne to demonstrate the fuel can replace hydrazine. UK’s Department for International Development (DFID) has announced a ground-breaking strategic partnership with the private sector to deliver e-learning programs in Kenya to thousands of marginalized girls. Despite oversupply in a few regions and bands due to accelerated satellite construction, NSR projects the market will grow by 76 percent, from about $11.8 Billion currently to $21.1 Billion by 2023. Arianespace wins launch contract for Sentinel 1B satellite. O3b begins service with full initial constellation. China and Brazil agree to continue the China-Brazil Earth Resources Satellite program with an additional satellite, CBERS 4A. DARPA awards SSL contract for flight hardware capable of taking a variety of small missions to space aboard the company’s GEO satellite platform. The fifth of six instruments to be carried by the GOES-R next generation weather satellites, the magnetometer, is now ready for integration. Liquid Telecom steps up resources leased from Eutelsat to meet increasing demand for IP connectivity from broad portfolio of clients including national parks and mining and exploration. Airbus Defense and Space expands strategic agreement with Inmarsat on Global Xpress high-speed broadband to resell to U.S. government market. AltegroSky Group’s acquisition of CJSC’s “Moskovsky Teleport” allow entry into new market segments of satellite communications. Inmarsat keen on offering India high-tech services of monitoring climate, power grids, and water levels in reservoirs in real-time without human intervention. NSR report, “Global Satellite Capacity Supply and Demand, 11th Edition” now available. Soyuz rocket puts Russian GLONASS-M navigation satellite into orbit. Reportlinker.com announces new market research report analyzing worldwide markets for satellite transponders in number of 36 MHz Transponder Equivalents (TPE) by application area. Proposed AT&T and DirecTV merger heading to streamlined Senate hearings, with little observable opposition. Avanti raises $ 157.5 million in bond market, to be used to begin HYLAS 4 satellite project. Spacecom is planning new satellites to reach 80 percent of the world by 2020. Two companies vying to build space taxis to fly NASA astronauts to the international space station plan to offer unmanned versions of their vehicles in competition for cargo resupply services. Eutelsat taps Siemens to improve satellite monitoring in Latin America. Months before awarding sole source contract to United Launch Alliance, the USAF rejected an unsolicited offer from SpaceX to launch GPS 3 satellites for $80 million each. Eutelsat to introduce its 4k Ultra HD TV channel in Asia on the Eutelsat 70B satellite, in partnership with ST Teleport, one of Asia’s leading full-service communications service providers. European Space Agency modifies frequencies used by some radar Earth observation satellites to reduce the interference from ground-based wireless communications systems often operating illegally. Though DigitalGlobe wins approval to sell its highest-resolution imagery to all customers, regulators reserve the right to impose some restrictions on commercial sales of data from the company’s newest, most capable satellite to be launched in August. More than 300 Chinese space enthusiasts have booked tickets costing nearly $100,000 for a five minute trip to outer space. TelOne announces new broadband through satellite product in the United Kingdom. New report from Markets and Markets defines and segments the global Nano and Microsatellites market, which it projects to be worth $1.887 billion by 2019. SMi presents the 16th annual Global MilSatCom conference and exhibition – Europe’s leading Military Satellite Communications event. The UK officially joins the US, Canada and the Netherlands in using the Lockheed Martin-produced Advanced Extremely High Frequency (AEHF) protected communications satellite system. Google is in talks with Virgin Galactic about a deal that will hand it crucial access to satellite-launch technology and an equity stake in its space tourism venture. Eutelsat’s KA-SAT satellite has been selected by Wireless Innovation as part of an emergency mobile communications solution to help protect EDF Energy’s critical infrastructure in the UK. Eutelsat completes carrier ID implementation for its American coverage satellites in advance of the World Cup. Intelsat and Speedcast join forces to bring market leading broadband and mobility solutions to the Maritime, Oil & Gas and Enterprise sectors. Gilat’s low-profile maritime terminals deployed on naval vessels of an unnamed Asian country. McMurdo Group integrates Iridium GO! into its fleet management software. 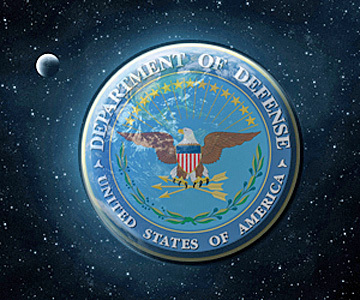 DISA mulls laser system for satellite communications. Google buying satellite maker Skybox for $500 million to improve quality and immediacy of satellite imagery used in its digital maps. The U.S. military’s Africa Command supervises project to improve communications for allies in North Africa and Sahel; awards $8.2 million contract to SES Government Solutions for transponders to support satellite communications from Africom. Inmarsat names Satcom Direct Communications a “value added reseller” for Global Xpress. Intelsat aims for close cooperation with Azerbaijan`s “Azercosmos” OJSC satellite operator, the Azerbaijani Ministry of Communications and High Technologies reported. ViaSat focuses on creating a more economically favorable M2M system designed to provide higher speeds, greater security, and faster response to small fixed and mobile terminals. Comtech Telecommunications Corp. receives $5.3 million order for Ka-band satellite power amplifiers from an existing customer, to be used in the HTS market. New NovelSat solution for DSNG allows units to deploy multiple cameras through a single satellite modem without requiring additional bandwidth for each camera. WORK Microwave DVB-S2 equipment now features Carrier ID technology. MultiChoice to expand its leading Direct-to-Home services in sub-Sharan Africa via new Intelsat satellite, Intelsat 36. Globecomm gets orders for WGS certified tri-band satellite terminals. Boeing completes second Mexsat 702HP satellite. The High Throughput Satellite Roundtable, which is being organized for the second consecutive year, will feature dynamic new program content developed jointly by GVF and EMP. Will Google be the new Big “G” in the satellite industry? NSR professes cautious optimism in its analysis of Google’s plans to enter the satellite business. A Chinese military unit has run a hacking campaign that includes sending bogus email in a bid to intercept Western satellite communications and aerospace secrets, a US security firm said. Comtech Telecommunications Corp. gets $4.2 million order for DoubleTalk Carrier-in-Carrier satellite modems on behalf of the U.S. Army. New report at ReportsnReports.com provides forecasts and analysis of the nanosatellite and microsatellite market 2014 – 2019. Senate defense bill urges expansion of launch competition. Eutelsat points finger at Ethiopia as incidents of jamming triple in 2013. Canadian satellite component builder Com Dev sees shrinking U.S. losses – is searching for a U.S. acquisition target. Airbus seeks new terms on data-relay contract with ESA. Will Google be the new big “G” in the satellite industry? – NSR cautiously optimistic. Asia to dominate satellite backhaul market with 27% of global revenue per NSR report. 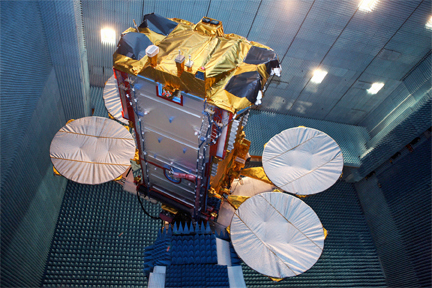 Measat 3B launch rescheduled from June 6 to September 2014. The search for the doomed Malaysia Airlines Flight 370 has been moved to another area of the Indian Ocean dubbed “the 7th arc” following new analysis of satellite communications data. 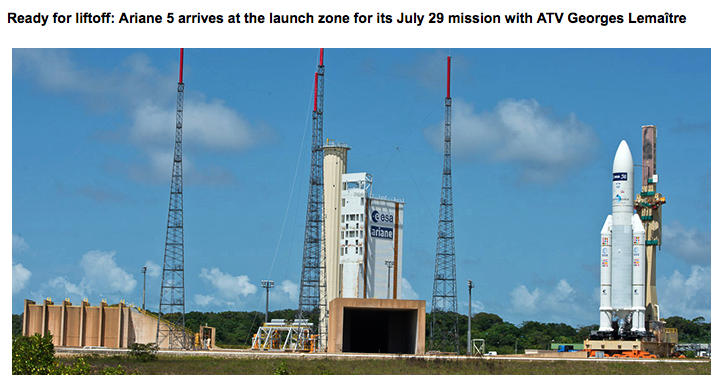 Arianespace scheduled to launch four more satellites for the O3b constellation on July 10, 2014. 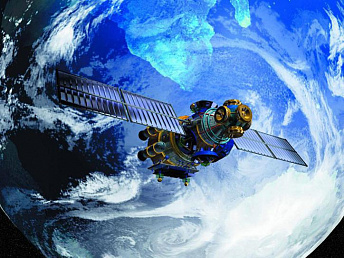 China bids to build Bolivia’s second satellite, an exploration satellite. Arabsat, Inmarsat order dual-purpose satellite from Thales Alenia – Ku-band satellite TV payload for Arabsat, and S-band mobile payload for Inmarsat. Mexico to auction two orbital slots. ESA chief says ties with Roscosmos remain strong. New T2C2 Lite suitcase-sized satcom terminal adds Ka and X bands to L-band capability, boosting performance to megabits per second and allowing soldiers to use advanced applications. British Airways to be first airline to offer in-flight internet in Europe. Inmarsat to launch pan-European in-flight broadband, with British Airways in talks to become launch partner. 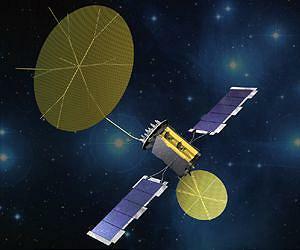 Global fixed satellite service market forecast for 5.4% CAGR growth between 2012 – 2016 by new market research report on companiesandmarkets.com. Mobile Internet usage to increase at twice the global rate in 5 years in sub-Saharan Africa. OTT and multiscreen TV drive spending on broadcast and streaming video equipment. Intelsat hopes its Boeing-built Epic satellites, each with up to 3 times the capacity of a WGS satellite, and changes in defense acquisition approach, will supply the U.S. military with enormous on-call bandwidth. KazSat-3 reaches its orbital position. 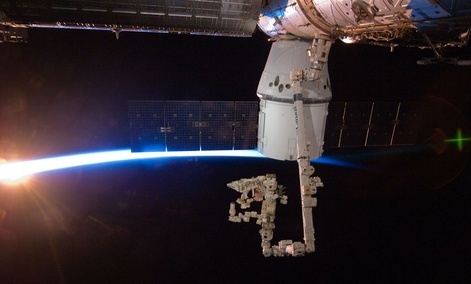 SpaceX aims to increase rocket production to two per month by year-end 2014. Raytheon wins when U.S. Air Force switches contractors with $298 million award for FAB-T satellite terminals. Airbus Defence and Space BYOD solution enables a vessel’s crew to use their own devices on board for voice and data communication, seamlessly with Pharostar VSAT, FleetBroadband or Iridium OpenPort. New high-speed satellite broadband service from Broadband Everywhere, using Astra Connect, will help bridge Scotand’s digital divide. Marlink to roll out its customised Ku-band VSAT service, Sealink, on 27 Stena line ferries operating in Scandinavia, the Irish Sea and the North Sea. Northrop Grumman introduces high power GaN amplifiers for Ka-band satellite communication terminals. API Technologies unveils new line of radiation-hardened products. ‘Analysis of the US Government and Military Commercial Satellite Market’ report – new satellite initiatives for Ku- and Ka-band technology in the Middle East drive adoption. As announced by Russian Deputy Prime Minister in May, 2014, IGS GPS tracking stations co-sponsored by U.S. interests have stopped making their data available to scientists and others. ABS ramps up for more launches after it’s sixth satellite launch in February 2014 expanded its coverage to 80% of the world’s population. Avanti Communications gets significant sale of service using Artemis capacity and considers further use of U.S. bond market to finance new satellite build. Comtech Telecommunications is awarded $1 million order for infrastructure equipment to support satellite mobile backhaul network in Africa. TriQuint’s high performance GaN Ka-band solutions showcased at IEEE IMS/MTT. Spanish infrastructure firm Abertis has sells its 5.01% stake in Eutelsat Communications. Chinese satellite service companies are planning to form an alliance to expand their share of an increasingly competitive global market. Greg Wyler goes from O3b to Google to head up 180 satellite project. Globalsat Group and MultiSAT Mexico form a strategic alliance for the continental provision of satellite services and the development of advanced solutions. RSCC’s Express AT2 satellite enters service, and Express AM6 is delivered to its launch base. Intersputnik negotiating joint ventures for unused orbital slots. KVH plans to offer affordable delivery of AWT’s Global Weather Data to subscribing vessels Over the mini-VSAT Broadband(SM) Network. ViaSat prepares to launch new M2M satellite services worldwide. Monitoring High Throughput Satellites presents a challenge – Integrasys addresses it with an upgrade of its ControlSat Carrier Monitoring System. The June issue of Satellite Executive Briefing Magazine includes ‘Asia-Pacific Satellite Lead in All Indicatiors’ by Virgil Labrador, ‘Technical Tutorial on Ground Communications Segment’ by Bruce Elber, ‘Back and Forth on Antennas and Terminals’ by Lou Zacharilla and ‘The Oil and Gas Bandwidth Optimization Imperative’ by Martin Jarrold. SpaceX completes qualification testing for the SuperDraco thruster, a 3-D printed rocket engine that will power the Dragon spacecraft’s launch escape system and enable propulsive landings. A group of amateur astronomers working with NASA’s blessing raised money, did the work, and successfully reestablished communications with a satellite called ISEE-3 that launched in 1978. Industry officials expect the U.S. Air Force to release a draft solicitation within the next month for a contract worth about $500 million for another ground-system consolidation effort. Buoyed by initial court victory, ViaSat girds for protracted legal battle with Loral. ViaSat launches new worldwide network service for M2M market designed to provide higher speeds, greater security, and faster response to small fixed and mobile terminals. Google-backed global broadband venture secures spectrum for satellite network. SpaceX unveils capsule to ferry astronauts to space. HISPASAT to broadcast soccer match live in Ultra High Definition in run up to World Cup. Iridium extends its agreement to provide satellite connectivity to SkyBitz in support of their new SkyBitz as a Service offering for the M2M market. 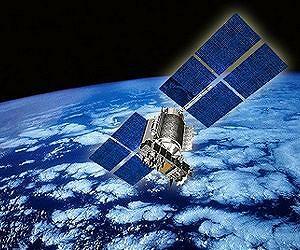 Azerbaijani satellite launched in February 2013 now broadcasts 97 channels. At Marina Bay Sands Convention Centre from 17 – 20 June, SatComm2014 will once again unveil the largest contingent of satellite companies witnessed at any single ICT trade event in Asia. Thales Alenia Space signs agreement with Snecma to use its PPS 500 plasma thruster as standard equipment on the new Spacebus platform, making for a satellite platform with all-electric propulsion. Britain opposes Iridium bid for certification as maritime safety services provider. Virgin Galactic signs deal with US aviation authorities to let it blast paying customers into space. Wireless Innovation selects Eutelsat’s KA-SAT satellite for Thales contract to help protect EDF’s UK critical energy infrastructure. Arabsat is subject to jamming and its engineers succeed in locating the source. KVH introduces the TracVision(R) RV1, a powerful and compact stabilized antenna designed to provide superior performance for satellite TV reception from RVs and other vehicles. Australian company Ocean Signal introduces rescueME PLB1, the world’s smallest personal locator beacon, through new distributors All Sat Communications at Sanctuary Cove Boat Show. Korean antenna manufacturer KNS announced that it has been awarded Ka-band Type Approval from satellite operator Avanti Communications. Satellite industry seen outpacing global economic growth in new SIA report. Global market for satellite communications seen as driven by challenging environment of oil and gas rigs in C&M report. String of delays portends summer traffic jam for launch providers. Earth Science managers attempt to get IceSat-2 back on track after technical problems with its instrument busted the budget by about $200 million. Traffic offload is central to mobile operators in order to relieve spectrum congestion and maximize revenue potential – satellite operators appear poised to play increasing role. As more MSS constellations and more powerful FSS and HTS satellites launch, the satellite mobility market is on the cusp of major change. Virgin Galactic hopes replacing original rubber fuel with new plastic fuel will allow SpaceShipTwo to reach new heights. Aselsan of Turkey signs a memorandum of understanding (MoU) with Airbus Group of France to develop civil and military avionic systems, satellite communication systems and secure radio communications. Russian Express-AT2 satellite enters commercial service. At Qitcom, Qatar’s largest ICT event, Es’hailSat showcased Es’hail 1, Qatar’s first satellite, and the Es’hailSat satellite program. 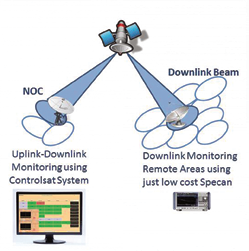 COM DEV wins contract for communications satellite switches and multiplexers. The SWE-DISH CCT120 Suitcase® satellite terminal by Rockwell Collins has been selected by the Canadian Army for its Land Forces Portable Satellite Terminal program. NorthernAxcess implements eye catching design, easy navigation, and personal support in guides to using satellite phones and BGAN terminals. Laos to launch its first satellite in 2015. 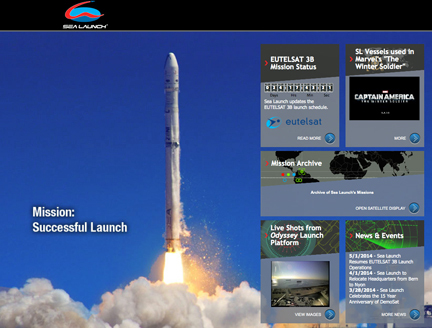 Successful launch of Eutelsat 3B helps Sea Launch put behind it the failed launch of Intelsat 27 in February of 2013. Malaysia and Inmarsat release satellite data on missing MH370 flight. Arctic Oil and Gas market does not provide green light for widespread satellite communication solutions as found in other regions of the globe, per new NSR report. C-COM and ViaSat to develop low profile land mobile Satcom-On-The-Move Ka-band antenna. Future Media Concepts and the NAB add the NY Post|Production Conference to the 2014 Content and Communications World (CCW) and Satellite Communications Conference and Expo (SATCON). ViaSat gets patent for weather detection using satellite communication signals. SES signs capacity agreement to serve CETel in Africa on NSS-7. Hedge-fund manager Mark Rachesky may be playing a game that jeopardizes the pending sale of Loral Space & Communications, a majority owner of Telesat. US Air Force AFSMC budget was cut from $10 billion to $5.6 billion without a drop in the services it must provide; this will likely lead to a greater reliance on the commercial satellite industry. SpaceX CEO alleges revolving door exists in national security launch business. COSPAS-SARSAT satellite rescue network, including NOAA’s geostationary and polar-orbiting satellites, inducted into the Space Technology Hall of Fame. NSR’s FREE Wireless Backhaul via Satellite webinar will discuss and examine the role and opportunities for satellite technology in the wireless backhaul, trunking and video offload markets. Inmarsat refutes Malaysia’s claim that it does not have the raw data from Inmarsat used in the MH370 search, insisting it surrendered all information to investigators early on. New NSR report examines the potentials of the utility market for satellite communications. Azerbaijan’s next moves in satellite communications depend upon cooperation with France. Aerospace Corp., hired by U.S. Air Force to evaluate the Falcon 9 rocket for national security launches, says it won’t cut corners on SpaceX certification. RapidEye+ will be a constellation of five satellites with an imaging capacity that will far exceed the current RapidEye constellation’s capacity of 5 million km2 per day. O3b signs agreement with FSM Telecommunications Corporation to provide its O3bTrunk service to Chuuk in Micronesia. KNS launches satellite antenna Z18MK3, Ku- and C-Band, to provide advanced communications for ships requiring broadband speeds at sea with exception reliability and durability. The emerging threat to satellite communications – satellite communications systems and devices subject to security risks. 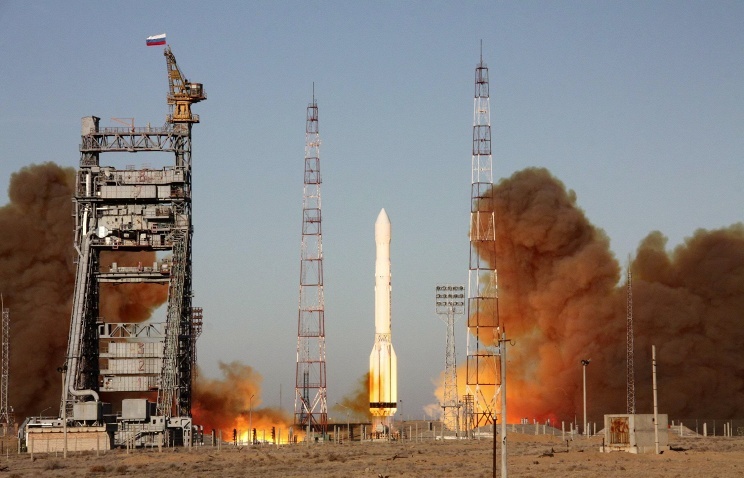 Russian Proton-M rocket crashes while attempting to launch Express-AM4R satellite intended to provide affordable internet access to people in remote parts of Russia. Launch of GPS IIF-6 delayed because of poor weather. State Department issues shipping licenses for two Russia-bound satellites. Russian space program gets $52 billion boost as sanctions war vaporizes U.S.-Russian space cooperation. Physicists and engineers research technique to ‘sweep’ Low Earth Orbit (LEO) debris from space using an Active Debris Removal (ADR) system of deployed micron-scale dust. Armenia’s government makes decision to create a satellite communication department in the national center for telecommunications. Airbus Defence and Space delivers full X-band operational capabilities to four UK Royal Navy Mine Counter Measure Vessels in Arabian Gulf ahead of equipping additional vessels. U.S. Air Force is discussing the possibility of building at least two more Wideband Global Satcom communications satellites with funding from potential international partners, according to Boeing. 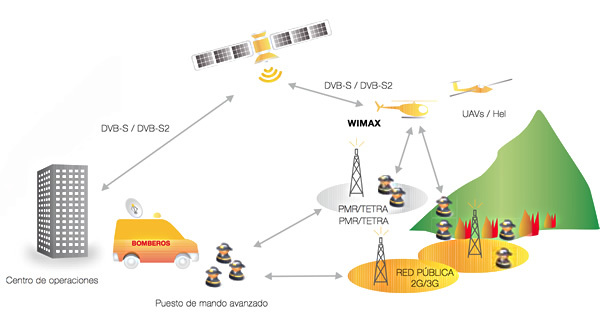 Via Sat Brasil books full high throughput payload on EUTELSAT 3B for broadband services across Brazil. SES launches new video distribution neighborhood for Latin America and new antenna seeding program for the NSS-806 satellite. MTN releases new connectivity solution for yachts. KVH receives $5.2 million international military order for its TACNAV tactical navigation system. Valleypoint Telecoms of Africa contracts with Avanti Communications to extend broadband coverage across Western Kenya. New report by Euroconsult provides comprehensive analysis of the how and why of the military’s usage of satellite communications, which saw tremendous growth over past 15 years. U.S. officials complete final draft of regulations that will remove some satellite hardware and technology from the U.S. Munitions List. Kennedy Space Center director says that without NASA’s planned heavy-lift Space Launch System rocket and Orion deep-space capsule, the center has no reason to exist. Malaysia PM calls for real-time tracking of planes. Rivals say Inmarsat’s offer of free tracking service for airlines is misleading, since outfitting a jet with the system could cost more than $100,000. High Throughput Satellites are a growing opportunity in Asia. Delegate to Nigerian National Conference claims foreign intervention over rescue of abducted girls resulted because of NigComSat’s inability to locate the girls by satellite. India’s Telecom regulator TRAI recommends that BSNL be allowed to set up a new gateway for providing satellite phone services to address an urgent requirement by security forces. [KVH introduces IP-MobileCast content delivery service, an industry first that will enable seafarers to receive daily digital newspapers, television news, sports updates, music, movies, and more. Xplornet and Hughes sign agreement for all Echostar XIX High Throughput Satellite broadband capacity over Canada. Mitsubishi to provide launch services for Sky Perfect JSAT for the first time, in 2016 from Tanegashima Space Center in Japan. Hispasat signs an agreement with Intelsat to co-locate its Amazonas 1 satellite at the same position as Intelsat’s Galaxy 11, at 55.5 degrees west. Skycasters unveils new portable, easy-to-assemble antenna system for installers who need to establish satellite Internet connections in remote areas at Governor’s Hurricane Conference. Advantech Wireless announces release of new 2300-G series 60W to 125W Ku-Band SSPA/BUC designed to withstand extreme temperatures. South-Korean antenna manufacturer Intellian has officially opened its newly expanded Innovation Centre in Seoul, saying that the extra space will allow it to increase production. Federal court lifts ban on RD-180 engines, but Russian cooperation is uncertain. Russian Deputy Prime Minister Rogozin calls for ban on U.S. military use of RD-180 engine, and says that Russia does not intend to continue cooperation with the U.S. on the international space program beyond 2020. AT&T in talks to buy satellite TV provider DirecTV for $50 Billion as telecoms megadeal war looms. Avanti Communications has partnered with the British Department for International Development (DFID) to deliver education programs to 60,000 students in Kenya. Speedcast announces buyout of Satcomms Australia. ITC Global confident that oil and gas sector is on a long-term upswing for satellite connectivity; the sector counted for roughly half of its first quarter 2014 business. Emirates Institution for Advance Science and Technology unveils results from its Super Resolution Tool which improved resolution of satellite imagery by 2.5 feet, including images from DubaiSat 2. Marlink announces that it has been contracted to provide its new WaveCall Plus bundle to MSC Cargo Italy’s entire fleet of 124 vessels. Satellite operators to proceed with launches from Russia. Thales Alenia Space signs a contract with the Korean satellite service operator KT Sat to build two telecommunications satellites, Koreasat-7 and Koreasat-5A. U.N. agency gathers in Canada to discuss better flight-tracking solutions after Malaysia jet loss. Satellite operator Inmarsat is to offer a free, basic tracking service for almost all of the world’s passenger jets after the disappearance of Malaysia Airlines Flight MH370. 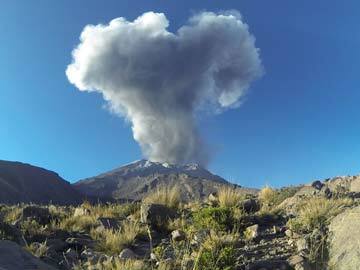 Satellite view of volcanoes finds the link between ground deformation and eruption. Inmarsat Maritime to provide communications services to small vessels. NSR’s regional-centric analysis of DTH platforms points to a significant divergence in market trends not just between “developing” and “developed” markets, but also within the markets of the “developing world”. Satcom Direct is expanding outside its traditional aeronautical market through a partnership with Thuraya. Tigo Star, owned by Millicom International Cellular, launches DTH service in Bolivia. Afghanistan’s first satellite begins formal operations. MarketBrief report examines the current trends and opportunities in the Canadian Fixed Satellite Services in the light of recent regulatory changes and industry developments. House Appropriations Committee approves full funding for NOAA next-generation polar-orbiting and geostationary weather satellites, but not climate sensor plans. SpaceX challenge to ULA block buy of Russian-made engines appears to hinge on the question of whether the plaintiff met the deadline for filing its protest. NSR’s Global Direct-to-Home (DTH) Markets, 7th Edition, provides industry-leading analysis on the Satellite Television markets worldwide. SES says Astra 2G has been cleared for shipment to Russia for launch. Evolution of Milsatcom in India – a discussion of the space technologies deployed for defence and security of India. Echostar warns investors that use of its EchoStar 19 Ka-band satellite now in development may be affected by the patent litigation between ViaSat and Space Systems/Loral. Recovering mobile satellite services operator Globalstar reports double-digit growth in handset saels and subscriber revenue for its key two-way voice service. Global Satellite Engineering now integrates SkyWave’s IsatData Pro, Automatic Vehicle Location, and Garmin-based dispatch within its fleet management solution. Euroconsult releases report providing insight into Milsatcom industry. United States remains the leader in space competitiveness, but is the only nation to decline for seven straight years, according to Futron 2014 Space Competitiveness Index..
Oilfield communications market expected to reach $3.18 billion by 2019 – new report by MarketsandMarkets. 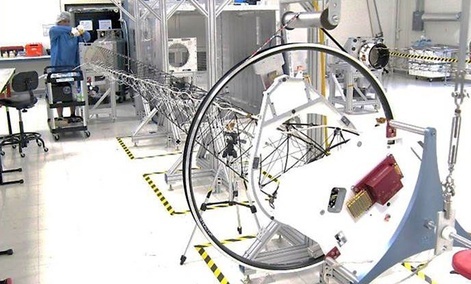 Research and Markets announces the addition of the “Analysis of the Global Satellite Very Small Aperture Terminal (VSAT) Market” report, analyzing the VSAT market 2012-2019, to their offering. Navy’s floating Ice Camp Nautilus north of Prudhoe Bay, Alaska, uses the MUOS secure satellite system to transmit large data files and voice transmissions during March exercises. Euroconsult and Hughes to share information about how latest satellite backhaul solutions are opening opportunities to expand cellular addressable markets beyond the current paradigm in a webinar. Judge lifts temporary band on purchase of Russian RD-180 engines by United Launch Alliance. RSCC plans to implement Center for Geolocation and Space Monitoring in Dubna, Russia. The House Armed Services Committee calls on U.S. national security officials to report back on the threat posed by Russian satellite monitoring stations. Outside satellite experts say investigators could be looking in the wrong ocean for MH370 because the Inmarsat analysis doesn’t hold up. Inmarsat and Sea Launch say Russia sanctions won’t disrupt upcoming launches. Spaceflight Inc.’s first Sherpa hosted payload flight almost fully booked with smallsats. Bandwidth crunch will force Australian broadband project to ration capacity. HISPASAT and Eskaltel sign agreement to provide broadband internet access throughout Spain. The International Media Associates (TIIMA) acquires capacity on the EUTELSAT 10A satellite in hopes of serving international news teams covering high-profile events such as Oscar Pistorius trial. Inmarsat says it now connects leisure and fishing vessels with a specially designed broadband service. ORBCOMM will offer its portfolio of M2M solutions to government customers under Corp Ten’s General Services Administration schedule. ViaSat launches Exede Business internet service for small and medium-sized businesses. Brazil awards satellite positions to Eutelsat, Hispasat, and SES affiliates. Utility market full of satcom potential. IPTV is set to overtake DTH in western Europe, according to a new report from Digital TV Research. Airbus Defence and Space launches a new Global Field-Service Alliance (GFSA) initiative to ensure quality installation and maintenance of VSAT equipment in major ports. Globalstar subsidiary SPOT LLC announces that its products have been used to initiate 3000 rescues around the world since 2007. Intellian launches its new x60 terminal, designed to deliver efficient high-speed broadband on Inmarsat’s Global Xpress service, coming into service later this year. Research and Markets adds the “Global Satellite Transponder Market” report to their offering. Pentagon funding for space programs is projected to fall 37 percent over the next four years when compared to last year’s projected spending over the same time period. Coming soon, NSR’s 4th edition of Satellite Manufacturing & Launch Services report combines thorough and invaluable market analysis with extensive and in-depth forecasts. KVH doubles mini-VSAT broadband network capacity in Africa to support offshore oil and gas industry. Sprite picosat developers hoping Kicksat, launched by Falcon 9 April 18, will deploy the 104 microsatellites it holds on May 16, before falling back into atmosphere. ITC Global closes more than $30M in new service contracts and deploys 27 high-end satellite networks in first quarter 2014. NSA and British counterpart GCHQ seek ways of monitoring airplane passenger communication: Greenwald. Nigerian Communication Satellite Limited (NigComSat) urges National Conference to facilitate government policy to direct all security agencies to key into its National Public Security. 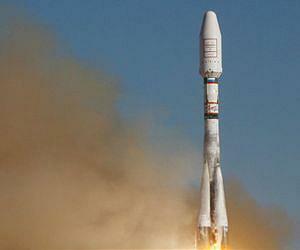 U.S. sanctions against Russia’s space industry affect Europeans. Avonline Broadband signs multi-million dollar contract extension with Avanti Communications, in order to provide a series of tailored broadband solutions to SME customers across Europe. Globecomm receives service contract extension for mission-critical distribution systems from global media and information firm in New York. Thaicom selects Orbital Sciences Corp. and SpaceX to build and launch another television broadcasting satellite. WiFi on airlines: users will find it’s worth the trouble. Nigeria Internet Group chief urges Nigerian government to sell NigComSat to private investors. A successful Sea Launch launch – SatNews file photo.